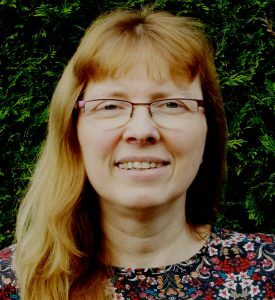 Kerstin Dautenhahn, Senior Member IEEE, is Professor of Artificial Intelligence in the School of Computer Science at University of Hertfordshire in U.K. where she coordinates the Adaptive Systems Research Group. She has published more than 300 research articles on topics related to social robotics and human-robot interaction. She is interested in both the technical aspects of robot development for HRI as well as the human aspects of how people relate to and interact with robots. In addition to basic research she is interested in assistive applications of interactive, social robots. Since 1998 she has been exploring the use of robots for therapy and education of children with autism. More recently she became interested in home companion robots. She has edited several books and frequently gives invited keynote lectures. She has been Principal Investigator of her research team in several European, nationally and internationally funded projects. Kerstin has several editorial roles: is Founding Editor in Chief of the journal Interaction Studies: Social Behaviour and Communication in Biological and Artificial Systems, as well as Associate Editor of Adaptive Behaviour (Sage Publications), the International Journal of Social Robotics (Springer), IEEE Transactions on Affective Computing and the IEEE Transactions on Cognitive and Developmental Systems (TCDS). She is co-coordinator of the euRobotics Topic Group “Natural Interaction with Social Robots”. My talk will highlight some of the developments over the past 15 years in human-robot interaction and social robots. I have been fascinated by this area since it requires us to tackle hard problems on many dimensions, including robot design and functionalities. robot cognition and intelligence, and last but not least the human dimension of how people perceive robots and relate to them. I will make a few points on what robots are, and what they are not, and emphasise useful roles they can play in human society. I will illustrate those points with examples of research projects I have been involved in, and highlight lessons that we have learned over the years in our quest to develop robot companions that provide useful assistance and are socially acceptable. Steve Cousins is founder and CEO of Savioke, the leader in developing and deploying autonomous robots that work in human environments to improve people’s lives. 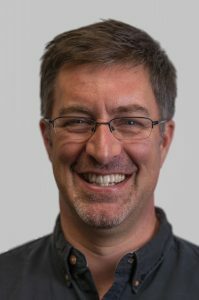 Before founding Savioke, Steve was President and CEO of robotics incubator Willow Garage, where he oversaw the creation of the robot operating system (ROS), an open source software suite that has become the standard tool among robotics researchers. Also at Willow Garage, Steve launched the industry’s first personal robots including the PR2 and the TurtleBot. Prior to that, Steve was a member of executive teams at IBM’s Almaden Research Center and Xerox PARC. He’s active in the Robots for Humanity project and holds a Ph.D. from Stanford University, BS and MS degrees in computer science from Washington University, and earned a micro-MBA while at IBM. David A. Mindell, PhD, is Professor of Aeronautics and Astronautics, and Dibner Professor of the History of Engineering and Manufacturing at the Massachusetts Institute of Technology. David has spent twenty-five years researching the myriad relationships between people and machines. He served as an MIT department head for five years, and has led or contributed to more than 25 oceanographic expeditions. David has developed and commercially licensed spread-spectrum sonar technologies for undersea navigation. He is the author of five books, including Our Robots, Ourselves: Robotics and the Myths of Autonomy (2015), Digital Apollo: Human and Machine in the First Six Lunar Landings (2008) and Between Human and Machine: Feedback, Control, and Computing Before Cybernetics (2000). David is an Associate Fellow of the American Institute of Aeronautics and Astronautics, and a Senior Member of the IEEE. He is co-founder of Humatics Corporation, which develops technologies for human-centered automation.